This first lecture outlines the evolutionary history and geographic distribution of the five extant species of rhinoceros and shows their relationships with other ungulate groups. The unfortunate and problematic demand for rhinoceros horn has accentuated their plight, to the extent that many rhinoceros species now face extinction. Other problems face some rhino species in captivity – inappropriate feed can lead to iron overload and anaemia in the black rhinoceros, and the white rhinoceros is difficult to breed in a zoo environment. The second lecture will describe the conservation efforts under way to try and counter the decline in rhino numbers, show how molecular genetic techniques assist these efforts, and how modern advances in reproductive physiology and cell biology can contribute to maintaining rhino population numbers, especially when, as in the case of the Northern White Rhinoceros, the decline has reached critical levels. Moodle, Y. et al. 2017. Extinctions, genetic erosion and conservation options for the black rhinoceros (Diceros bicornis). Sci. Rep. 7, 41417; doi: 10.1038/srep41417. Emslie, R. and Knight, M.H. 2014. Update on African Rhino Status and Poaching Trends from IUCN SSC African Rhino Specialist Group (AfRSG) IUCN Report for 65th CITES Standing Committee Meeting. Weber, B., Paglia, D. and Harley, E.H. 2004. Elevated Free Tyrosine in Rhinoceros Erythrocytes. Comp. Biochem. Physiol. 138 105–109. 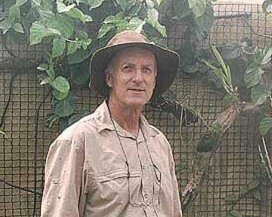 Emeritus Professor Eric Harley is a biochemist and chemical pathologist with a long-standing interest in the conservation of African plant and animal species, and especially in the two African Rhinoceros species where he has published on red blood cell metabolism and molecular population genetic aspects and how these relate to the conservation of these species.